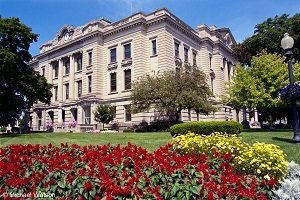 DeKalb County, Indiana offers a variety of street festivals, historical landmarks, recreational activities, entertainment, the arts, and golf courses. We invite you to visit and enjoy our many events, or stroll along our quiet streets and browse the specialty and antique shops. Includes Cities/Towns: Ashley, Auburn, Butler, Corunna, Garrett, Saint Joe, Spencerville, Waterloo. There is something for everyone in DeKalb County. With our rich transportation heritage there are a variety of museums, festivals, and activities surrounding the theme of cars, planes, and trains! In addition we have art & history museums. Our Downtown Association plans fun activities to get people out and involved such as Girls Night Out, Christmas Parade, and more! Enjoy the outdoors? Our Outdoor Theater has a summer concert series or you can enjoy our quality walking/running/bike paths. We have many parks for you to enjoy and many clubs and organizations to belong to. From our art museum to a variety of boutiques we have many cultural activities. Don't forget to visit the Outdoor Theater in the summer for their concert series or to catch the classes at the library! Public transportation is offered through DART, DeKalb County Area Rural Transport. Appointments for travel are requested ahead of time. DeKalb County is proud to have a locally operated community hospital that has strong partnerships with area healthcare systems. With a beautiful brand new orthopedics center and physical therapy area DeKalb Health is prepared to handle your healthcare needs! Jan 16.4 F° 23.8 F° 31.1 F° 1.9 "
Feb 19.1 F° 27.5 F° 35.9 F° 1.6 "
Mar 28.4 F° 37.9 F° 47.4 F° 2.7 "
Apr 37.9 F° 49.0 F° 60.0 F° 3.5 "
May 48.4 F° 60.0 F° 71.6 F° 3.8 "
Jun 57.8 F° 69.1 F° 80.3 F° 4.2 "
Jul 61.6 F° 72.7 F° 83.7 F° 3.6 "
Aug 59.9 F° 70.8 F° 81.8 F° 3.3 "
Sep 52.9 F° 63.9 F° 74.9 F° 3.6 "
Oct 41.9 F° 52.3 F° 62.8 F° 2.7 "
Nov 32.9 F° 40.7 F° 48.5 F° 3.2 "
Dec 22.3 F° 29.2 F° 36.1 F° 2.6 "
NE Indiana has distinct four seasons. We see all sorts of weather. It's the best of all worlds! Condos Over 50 Communities There are a wide variety of housing options throughout DeKalb County. We have many great options for assisted living. In addition there are large apartment complexes, old homes turned into apartments, homes for rent or purchase, duplexes, private editions, senior living, something to meet all needs! Home care Senior center Visiting nurses We have many senior services in DeKalb County. For those still wanting to be active, we have a strong Retired Seniors Volunteer Program and for those in need of some help, RSVP, United Way,Neighbor Link, and others are there to help! Whether it's planting flowers in your garden or a home health nurse we will ensure your needs are met. We have many highly referred home health care agencies to chose from or residential facilities for those needing long-term care. With so many small shops and nonprofit organizations there are a variety of job & volunteer opportunities. Just speak with Volunteer DeKalb to learn what organization(s) would be best fit to your skill set and availability or check out the Chamber's website for job opportunities.